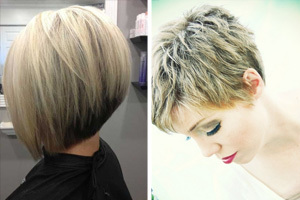 The pixie haircut is a very flattering style that can easily knock years off your age! 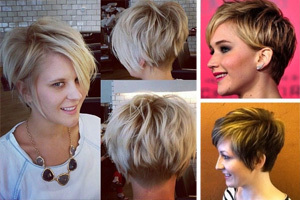 From it’s original, super-short shape, the pixie haircut has evolved into a wide range of trendy short haircuts. And that means stylists can expertly tailor a pixie cut to suit your hair texture, and bring out your best facial features! 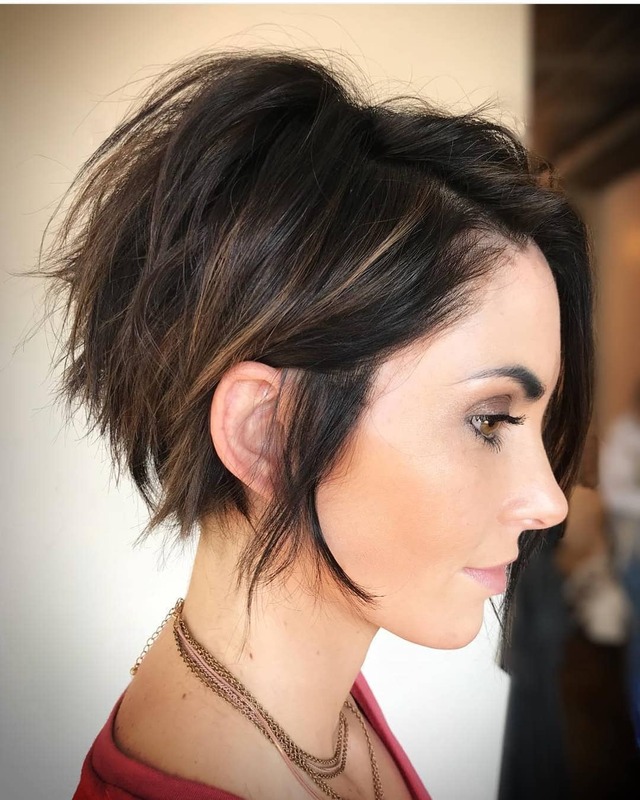 This short bob, or long pixie, is one of the smartest looks you can get. 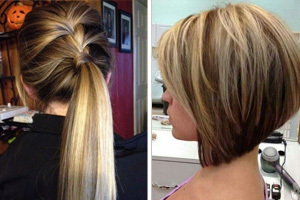 It has a fashionable asymmetric parting, you can vary to suit any face shape. Adding a shaggy vibe from textured tips, updates your style no end. 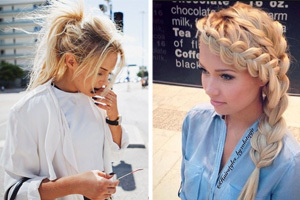 And tousled tresses at the back, emphasize the cute, curved profile. Fine, strawberry-blonde streaks break up solid, dark hair, tucked back in a relaxed, easy-care, pixie-cut. 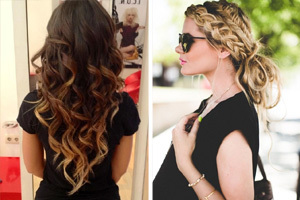 For fine hair that tends to fall flat on top, a few tousled waves can be the best way to add flattering height. A modern, light perm takes all the bother out of styling straight hair, too. 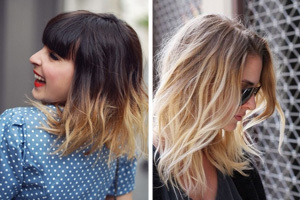 This wave style is ultra-chic and youthful, and the messy finish creates light and dark 3-D color depth. 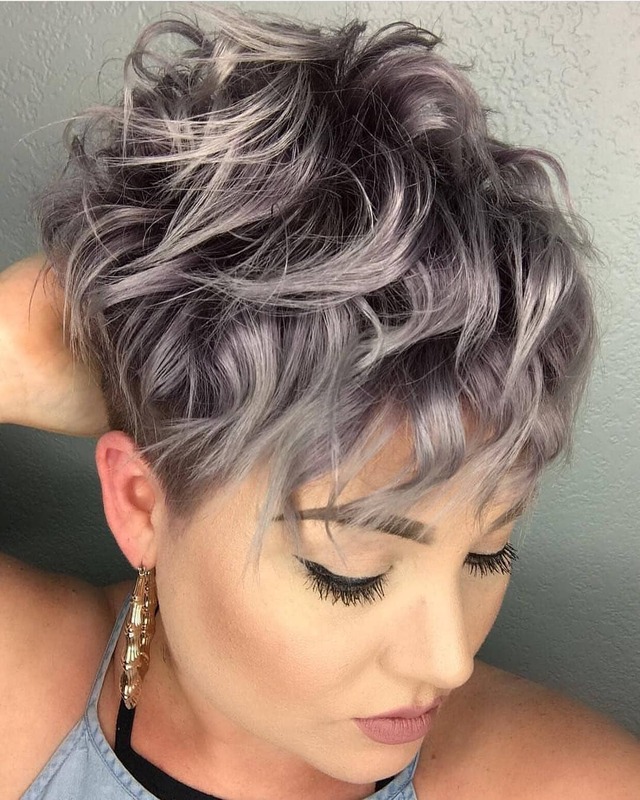 Cool chicks, with cool skin-tones, can wear this hip, silver-gray pixie cut with ash and purple tones! 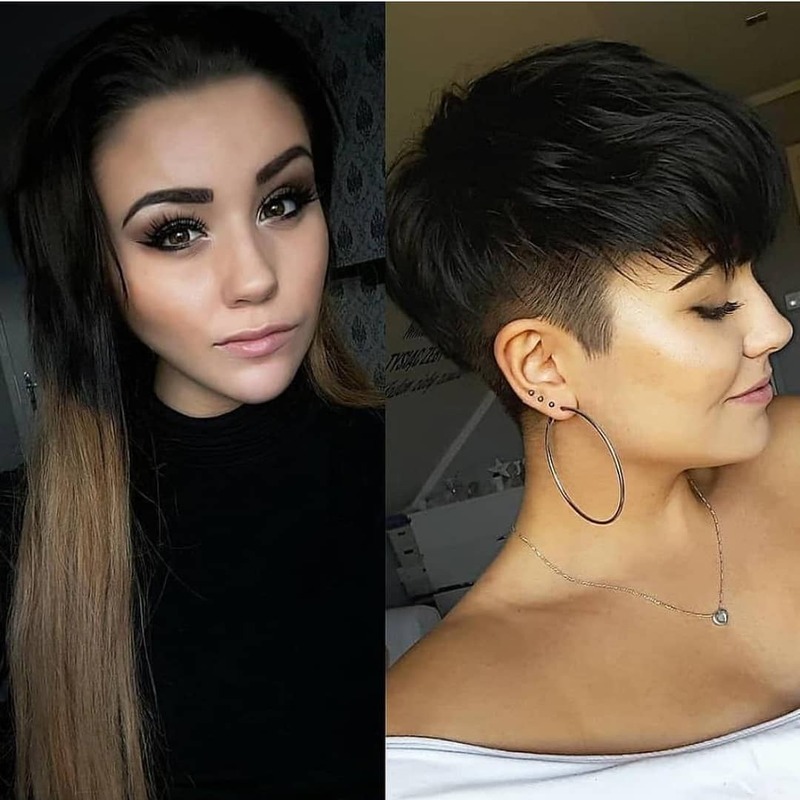 Shaved sections are totally mainstream these days and add an edgy, modern touch to any short hairstyle. And a slicked-back, boy-cut emphasizes femininity by accentuating pretty eyes and lips. Pale, ash-blonde is a glamorous, contemporary color that really brings out blue and green eye color! Dark roots and sides complete this striking, urban look. Here’s a pixie cut with lovely simplicity, you can achieve on any hair type. It has trendy, long side-points and lots of layers styled forwards into bangs. It’s an excellent hairstyle choice for anyone with bright and flowery tattoos. You don’t need fancy hair colors and curls here, as it would be just much. But to complement this pretty, garden scene, what could be better than a pert pixie! 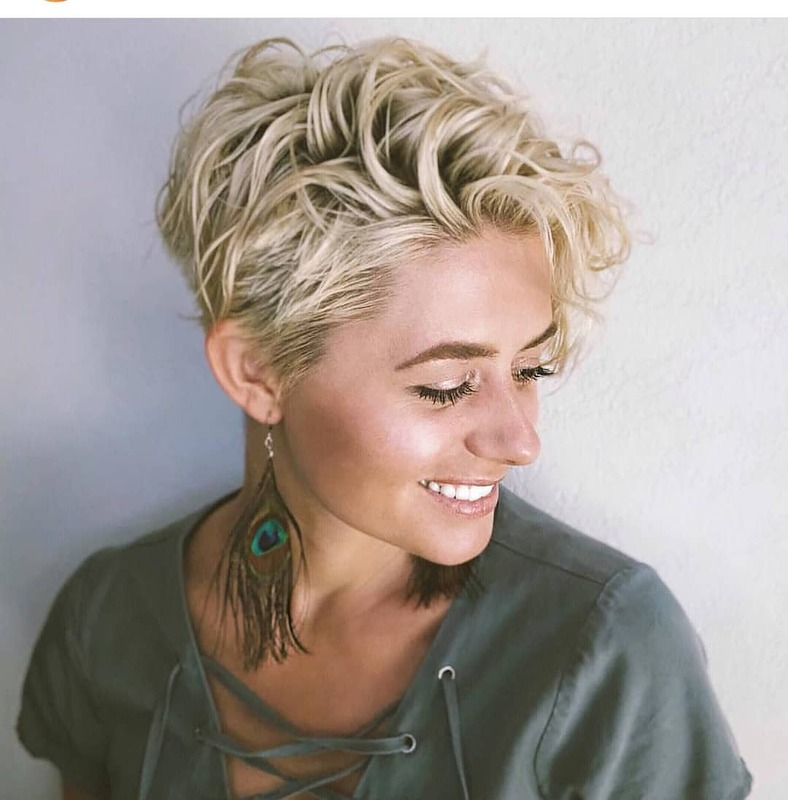 For a fashion-conscious woman, this short hairstyle has lots of zingy style features. 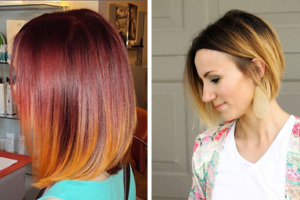 The back has triple-texture and color, from long layers, graduating to medium and then buzz-cut layering. And the short nape looks clean, shaped in a neat, straight-across line. Long, sliced layers with tapered tips sweep gloriously over the top. And pinky-beige roots look softly ‘urban’, beneath ash-blonde. Switch from your usual side-part, to this amazing short haircut with fab, textured strands creating the line instead. Soft mid-beige roots contrast with pale beige-blonde waves, and fine golden balayage. Look at that amazing 3-D depth! And fluffy bangs soften a bare forehead, when draped lightly over one eye. With lively movement and fabulous textures, you’ll love this flirty look! 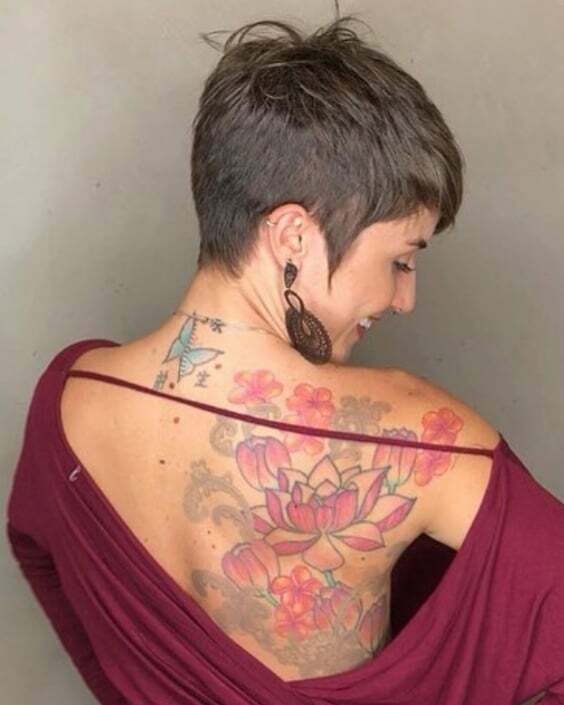 When you have skin art, you do need to consider a hairstyle that complements the ink color and tattoo images. The last thing you want is a fancy, curly haircut that fights for attention with your tats. Deep, indigo-blue flowers need a fairly simple, straight haircut, in a cool or neutral color. 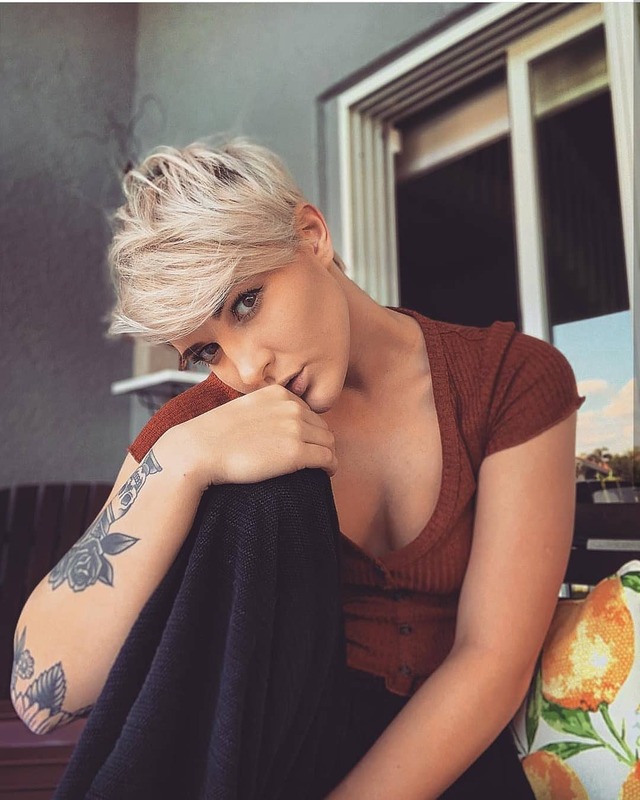 And this casual, light-beige-blonde pixie cut with bangs, is a perfect match! The long haircut emphasizes a triangular, heart-shaped face by leaving a wide forehead bare. This accentuates the tapered lower face, which is also highlighted by starting the ombré next to a pointed chin. However, the short haircut with bangs neatly covers-up a wide forehead, and short side-points ensure the focus stays on the eyes, above the chin. 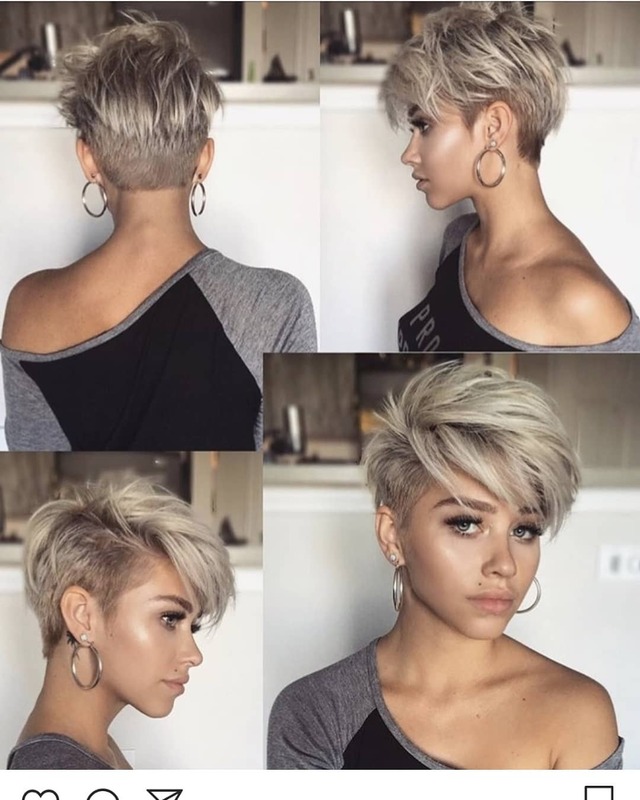 This short haircut brings out her good points beautifully! 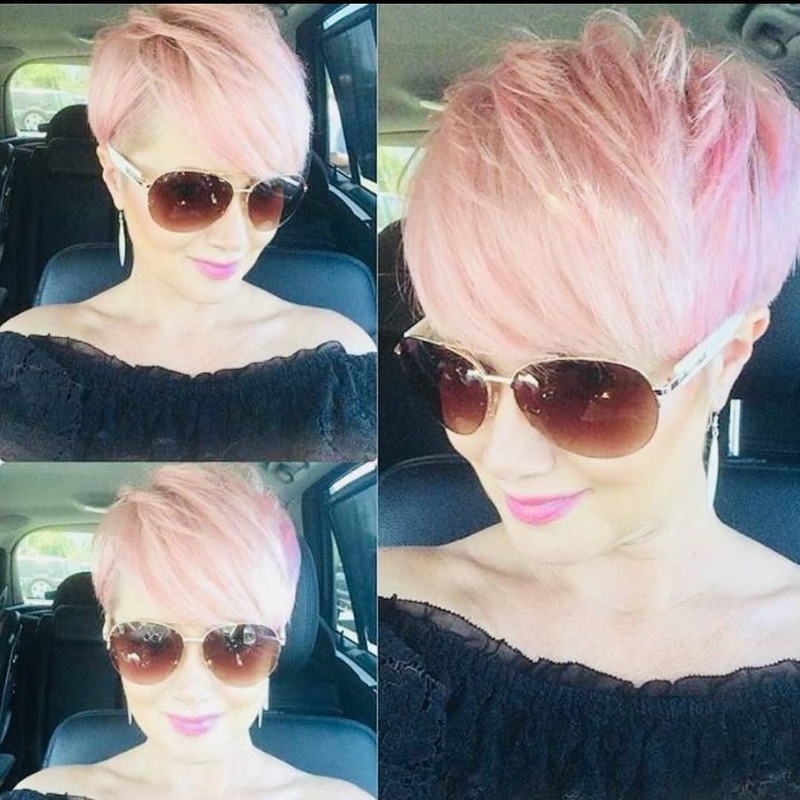 These dulled-down, ashy shades of pink are beautifully blended with ash-copper-blonde, to produce a chic, new hair color. The basic shape is a basin cut, with an extra-long fringe, graduated into longer layers around the ears. Long layers above a buzzed nape, create that nicely-rounded shape. And textured, defined top strands, create 3-D depth and easy volume. 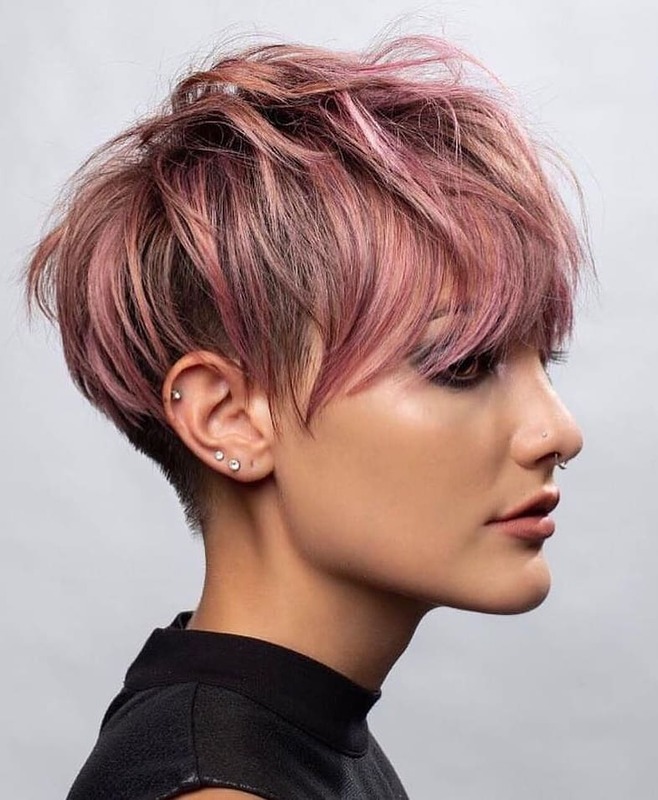 Pretty dual-pink hair color is saved from being too sweet, by the edgy shaved undercut. You’ll find that styling hair forwards really helps add volume and texture to hair that tends to flop flat. You can style deep bangs sideways to meet the longer side, showing off a brighter pink back. And to get the best color balance, a black Bardot top, enhances a feminine, but smart look!